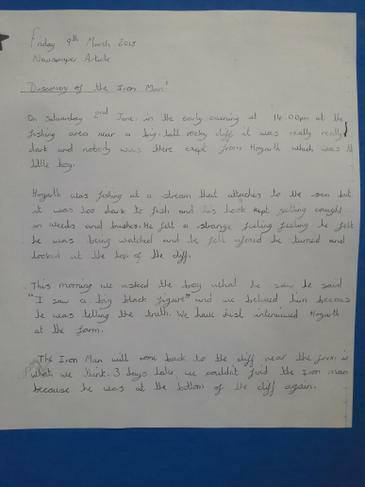 This half term we have been reading The Iron Man and basing our writing, art, D&T and PSHE on the themes in the books. 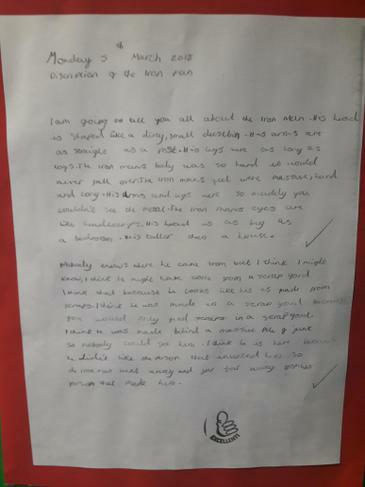 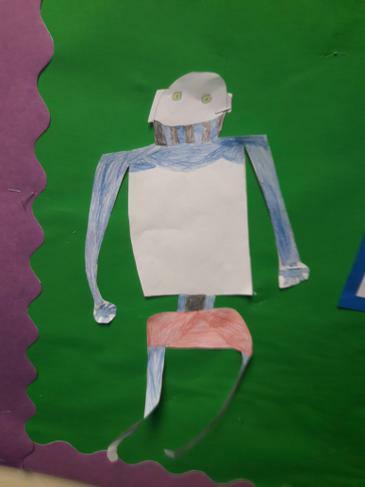 The children have been working hard to produce some brilliant work including pictures in the style of Roy Lichtenstein, a healthy meal for The Iron Man, a piece of writing as one of the seagulls and making their own Iron Man from scrap. 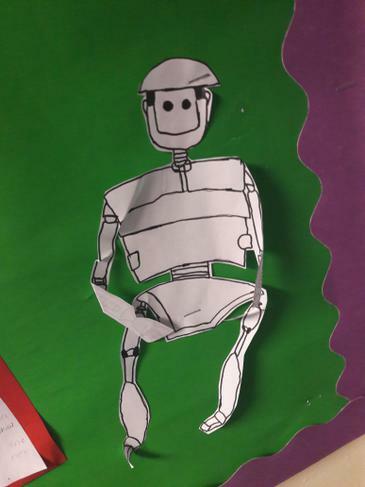 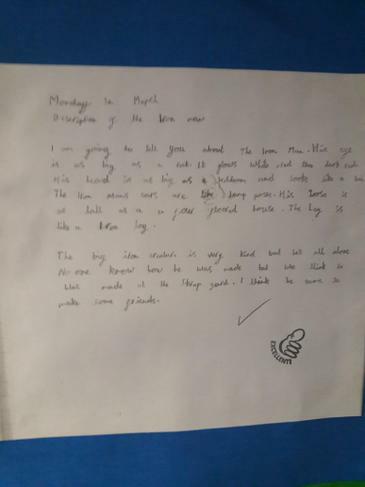 Please see below for some of the fantastic creations by 4CJ. 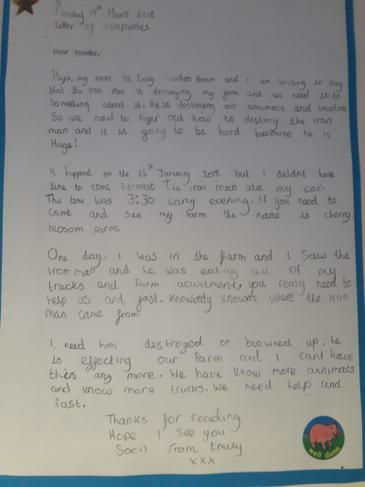 As part of our topic we decided to make the Iron Man a meal out of his favourite food... scrap! 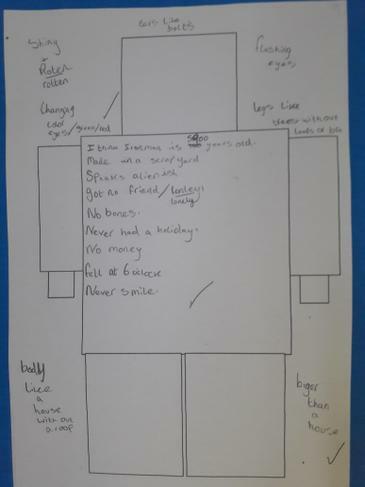 This fit in nicely with out Science topic of healthy eating and we decided to make sure that the Iron Man had a good balance of flavours, textures and colours. 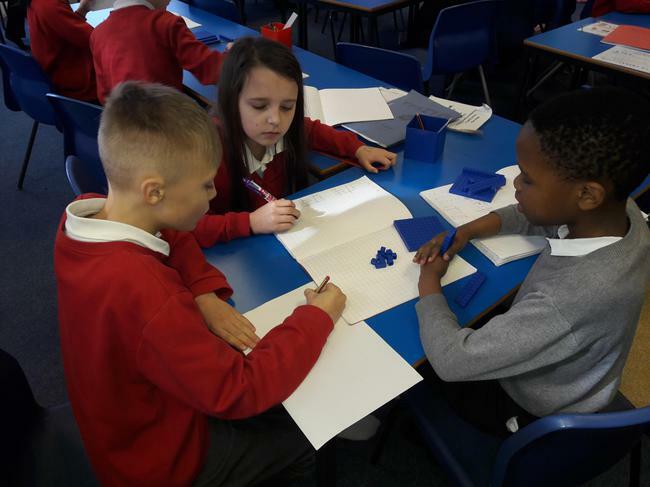 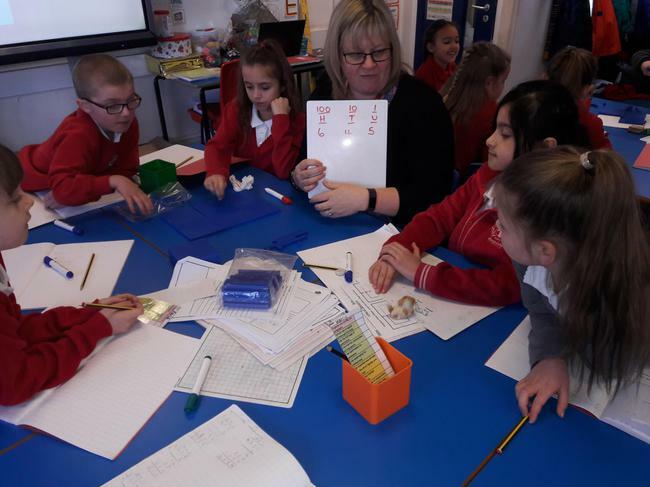 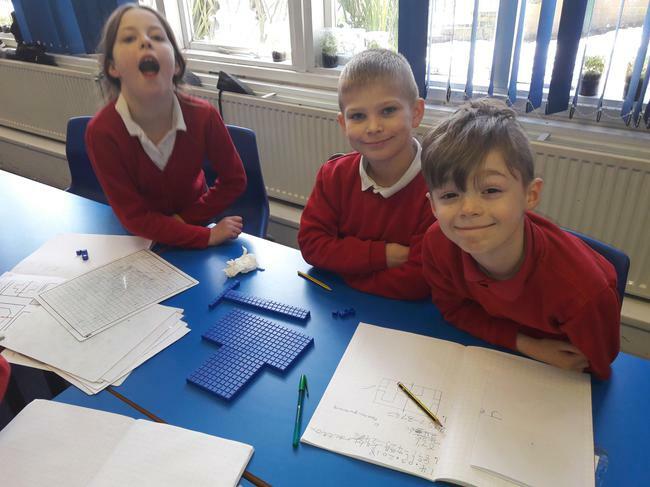 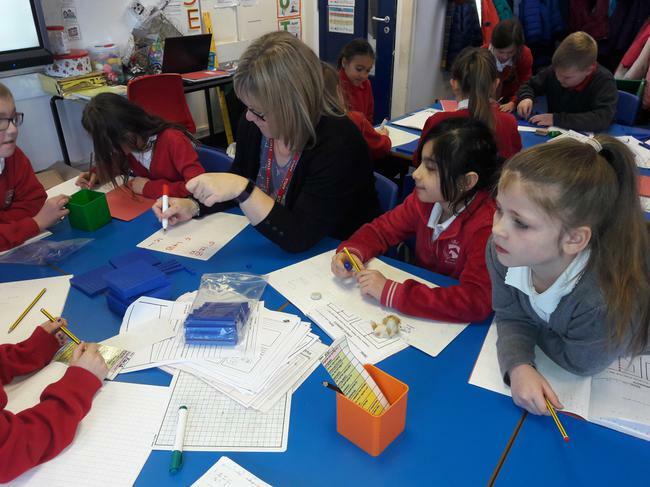 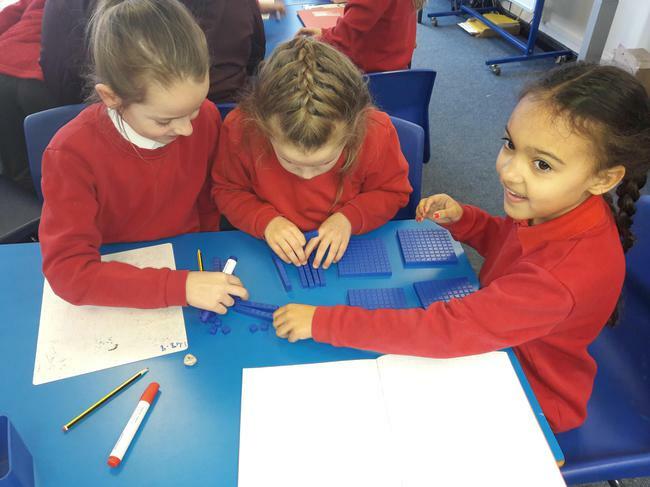 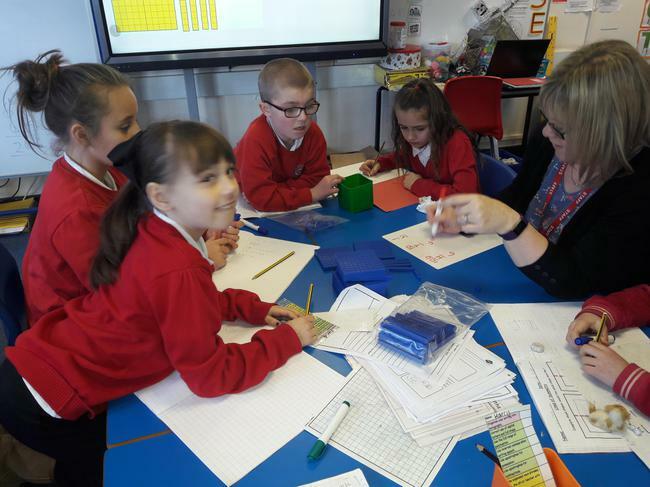 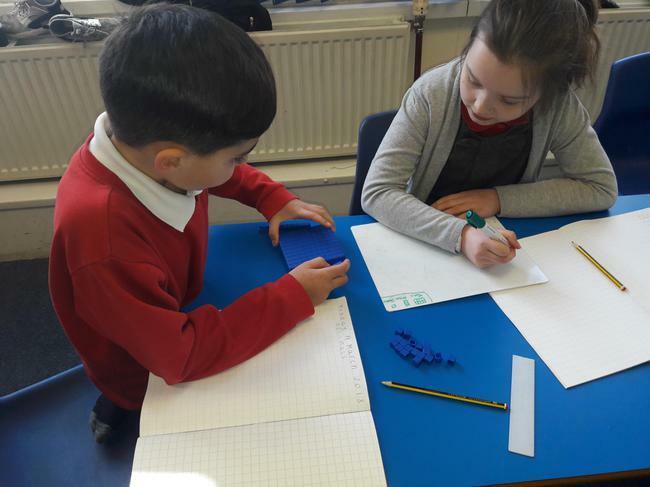 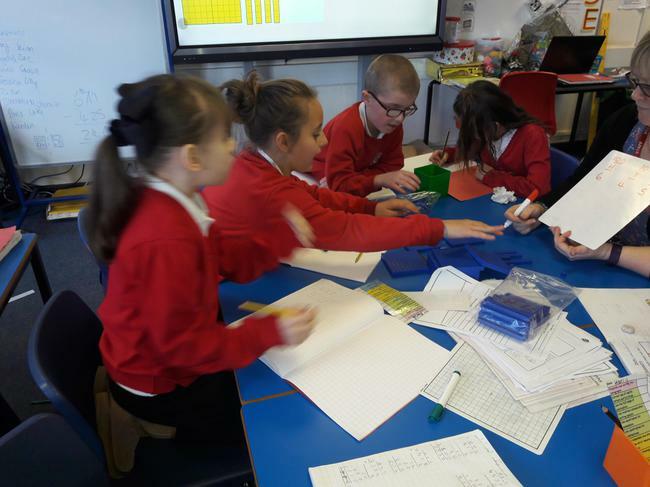 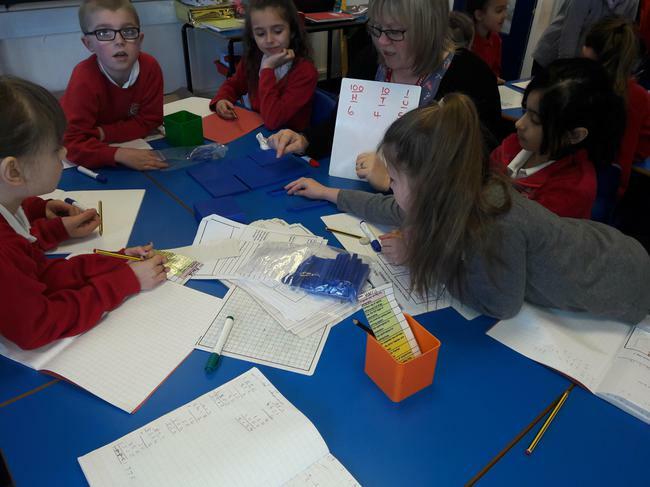 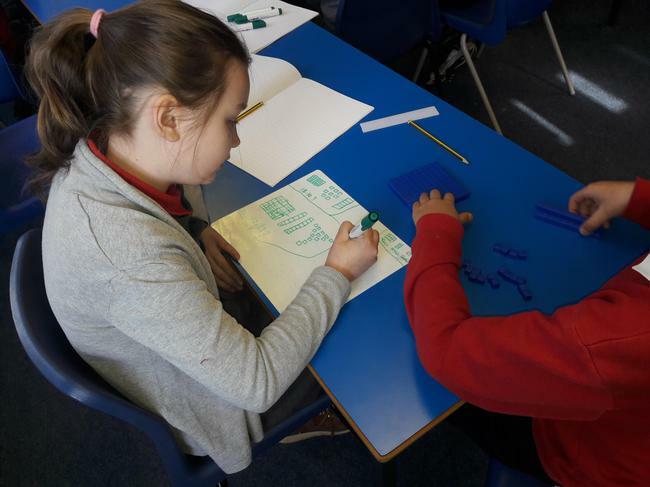 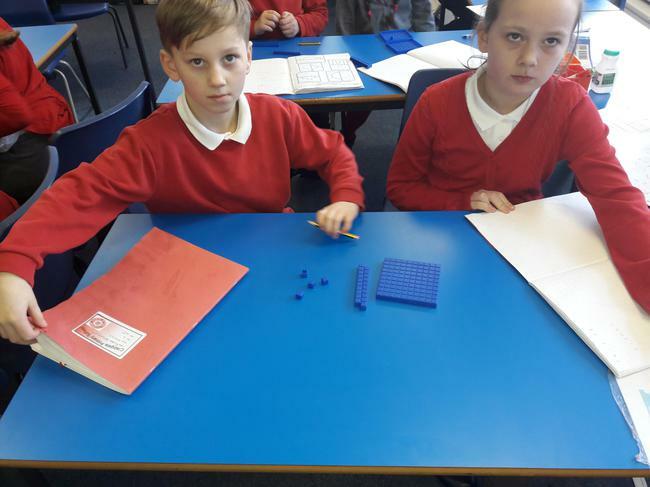 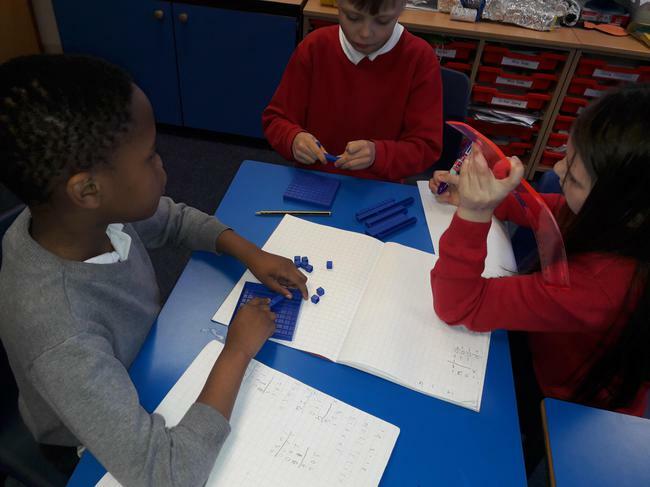 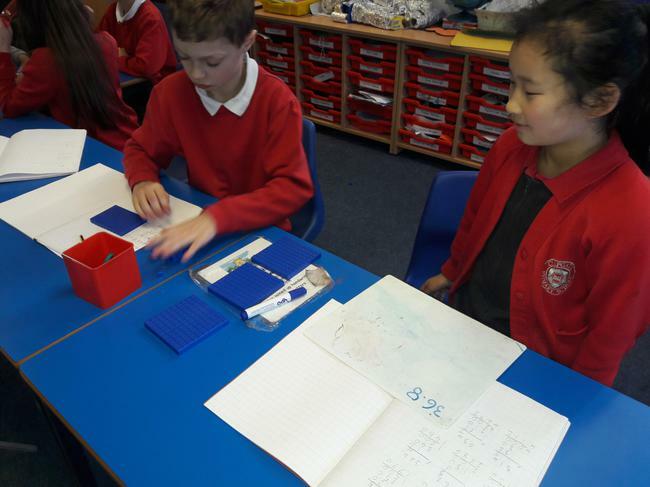 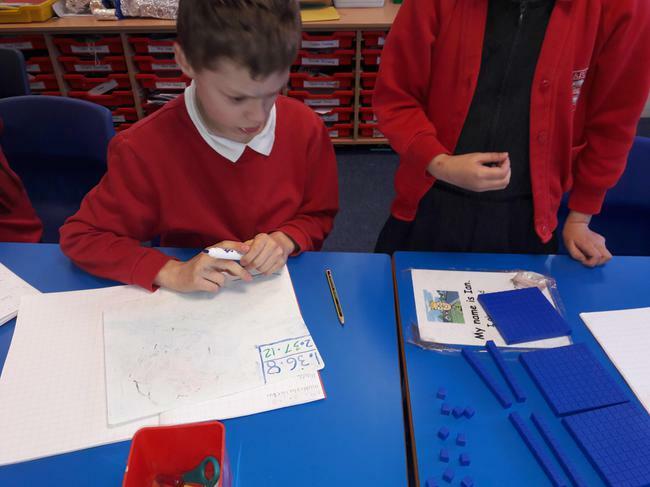 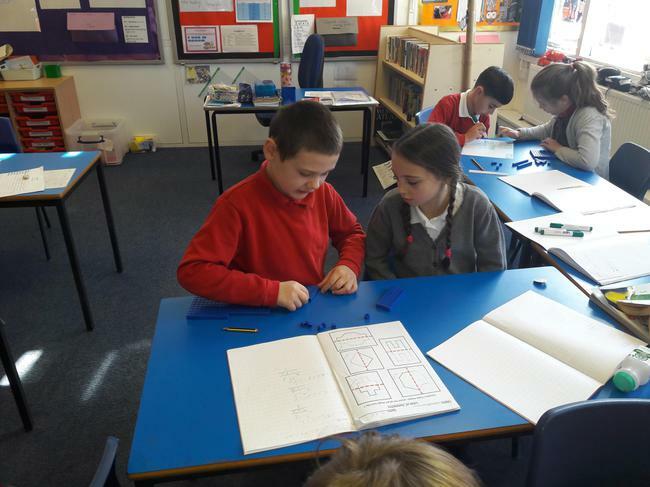 This half-term we have really been exploring maths using practical activities. 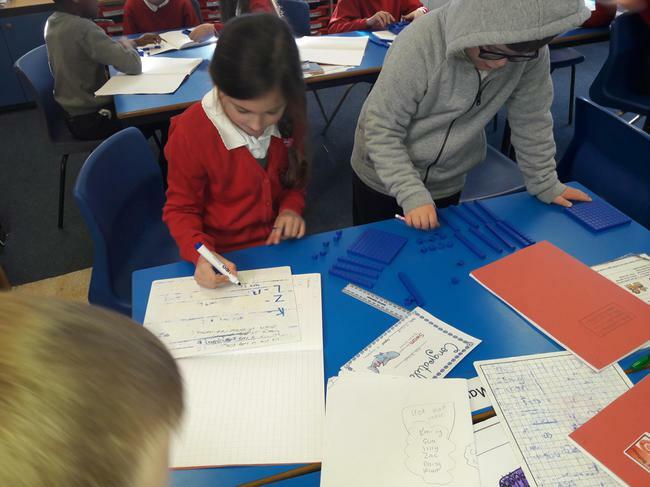 Below you can see that the children have been completing some excellent work on decimal places using base 10.